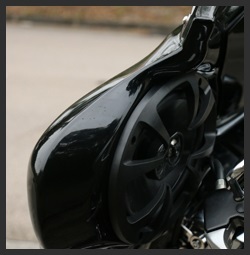 Special Sales, Big discount for fairings, limited offer, order today. 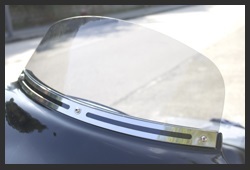 Tsukayu Boox One Fairing is manufactured by precision CNC molding with perfect aerodynamics and ideal windshield and fairing angle. 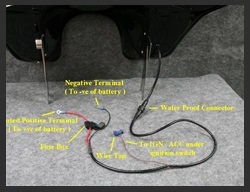 It features superior and powerful bass and treble, smoother and cleaner look and a water tight stereo/ storage compartment with automatic opening mechanism. 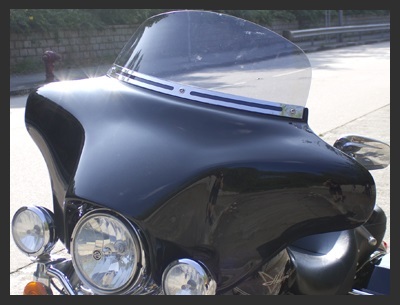 Another feature of this Boox One Fairing is the clean and smooth look, outer and inner fairing are made in one piece, which reveals the level of workmanship of this ABS art piece. 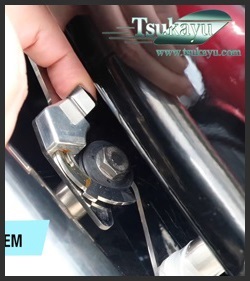 Also, automatic opening stainless steel hinge and waterproof design are used for the door of the stereo/ storage compartment that allow you to open and latch the door easily. Option 1: Boox One GPS Fairing - comes with GPS stereo and a pair of Tsukayu water proof 6"x9" speakers with 20 oz magnet each. 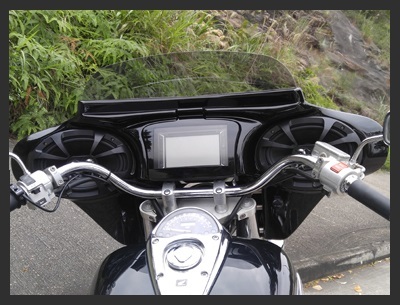 It fulfills most of riders' needs and has powerful sound at high speed, is a combination of GPS navigating and music enjoyment during riding. 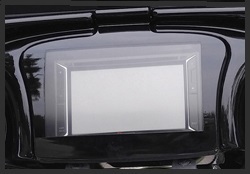 Optional choices: Double Rock 320Watt Class-D 2 channels or Nakamichi 350Watt Class-D 4 channels power amplifier and Tsukayu Bluetooth handlebar remote control. 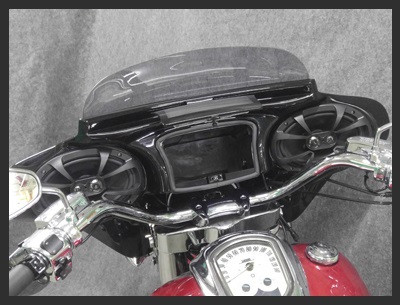 Option 2: Boox One Storage Fairing - comes with built-in Double Rock 320Watt Class-D 2 channels powerful amplifier, a pair of Tsukayu water proof 6"x9" speakers with 20 oz magnet each, and Tsukayu Bluetooth handlebar remote control, definitely it will bring you the sound you are persuing for your ride. 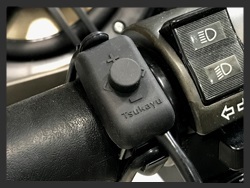 With Tsukayu Bluetooth handlebar remote control, you can play music with your thumb easily and conveniently. 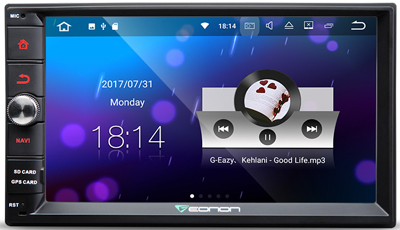 It works with any music player with stereo bluetooth fuction, like iphone (including iphone 6, ipad, samsung galaxies, etc); or works with any devices with headphone output (Limited function). 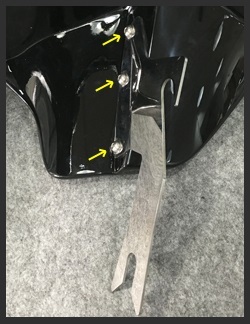 Dimension of "Boox One Batwing Fairing"
Note: Lockable function is for RoadKing and Softail ONLY, mounting system for other bikes will not have lockable function. 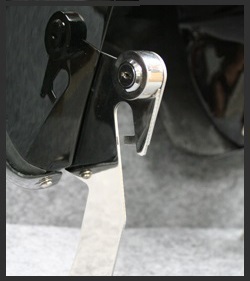 Fit on many Harley, Honda, Yamaha, Kawasaki, Suzuki, Victory and other bikes. 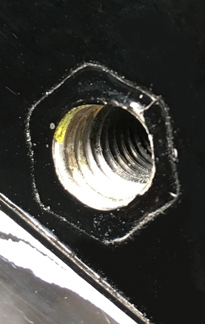 - There are 6 metal theads for mounting brackets (M8 size, 3 for each side) which are embeded into ABS. Much more secure than using nuts and make it easier for periocally check. 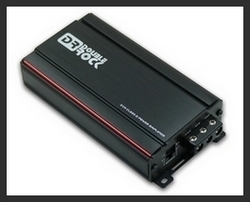 - built inside the upper compartment, for charging your cellphone, music player, etc. 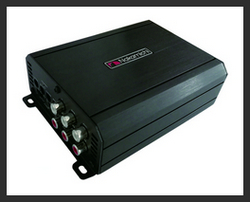 -Add Amplifier/ Handlebar remote control and Phone stand/ color matching/ additional windshields from HERE. 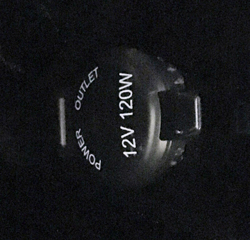 *color-match order must be accompanied with a primed (Ready to Paint) item. *Each color-matching is for one fairing only. If you order two fairings, you have to order two color-matchings. 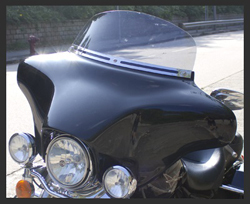 size Boox Flat windshield, Clear - 5" Boox Flat windshield, Clear - 8" Boox Flat windshield, Clear - 10" Boox Flat windshield, Tint - 5" Boox Flat windshield, Tint - 8" Boox Flat windshield, Tint - 10"
size Boox Curvy windshield, Tint - 5" (temporarily not available) Boox Curvy windshield, Tint - 8" Boox Curvy windshield, Tint - 10"